LG has unveiled the world’s first 77 inch transparent flexible OLED display which offers an Ultra HD (UHD) resolution of 3840 x 2160 pixels together with a 40 percent transparency and 80 radius of curvature. New LG OLED display builds on the technology previously unveiled back in 2014 and once again in 2016 when 18 and 55 inch OLED displays were unveiled respectively. Unfortunately no details on pricing or availability have been announced as yet by LG but as soon as more details come to light we will keep you up-to-date as always. 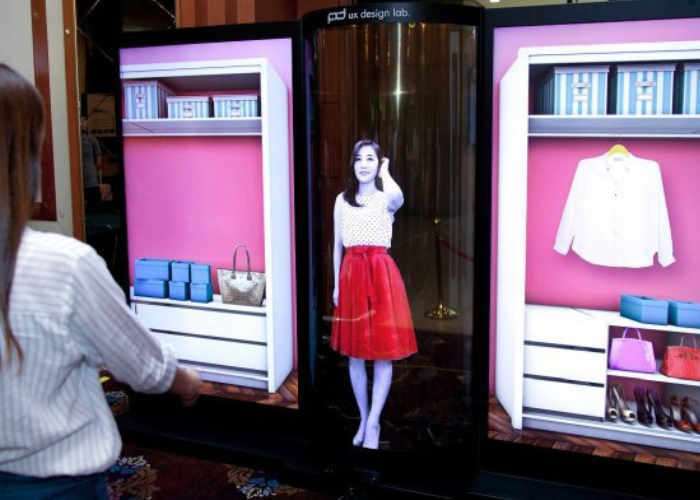 LG Display has consistently advanced the fundamental technologies that enable large-sized flexible and transparent OLED displays in collaboration with the Korean government, which sees OLEDs as the future display technology. This innovative 77-inch flexible and transparent OLED display is just the latest in a long line of milestone products. 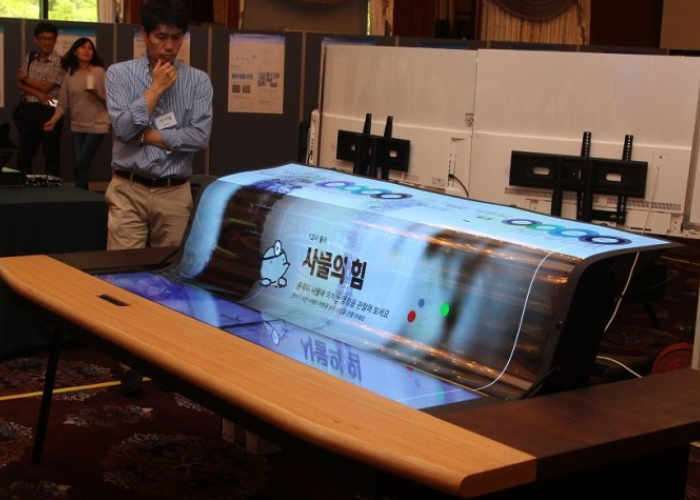 LG Display unveiled an 18-inch flexible OLED panel with 30 radius of curvature that is rollable and an 18-inch transparent OLED panel in 2014, and a 55-inch transparent OLED panel with 40 percent transparency in 2016.